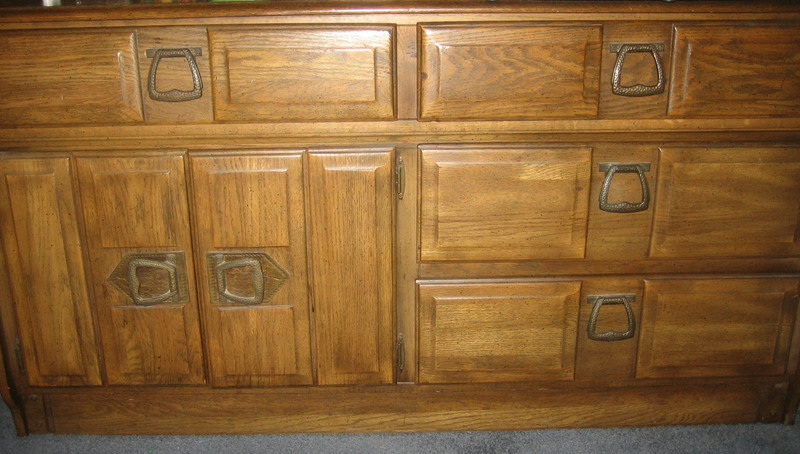 I started my Drawer-A-Day pruning in the logical place – my dresser drawers and night stand. Fingernail and toenail clippers, tweezers. Yes these are helpful gadgets to have but do I really need 6 toenail clippers? I saved two – one for me and one for potential visitors. A battery powered tweezer that never worked that efficiently. After all, I did keep two human powered tweezers. Mini travel alarm. I love miniaturized things for travel but when I tried to replace the battery to see if it worked, I found that it didn’t run on a battery. Where it got its power is a mystery. It certainly couldn’t run on solar power while stashed in my drawer. T-shirts with political or spiritual sayings. These are more like wearable bumper stickers, but is it really worth saving a campaign shirt from a 2012 or 2008 election – even for a novelty party? I did save one T-shirt showing the Last Supper with all women apostles. The best day to wear this is Holy Thursday and it was hard to justify a once a year wearing, but maybe I’ll just have to wear it more often. Stockings that had seen better days and peds that I would never wear even though they’re in good condition. 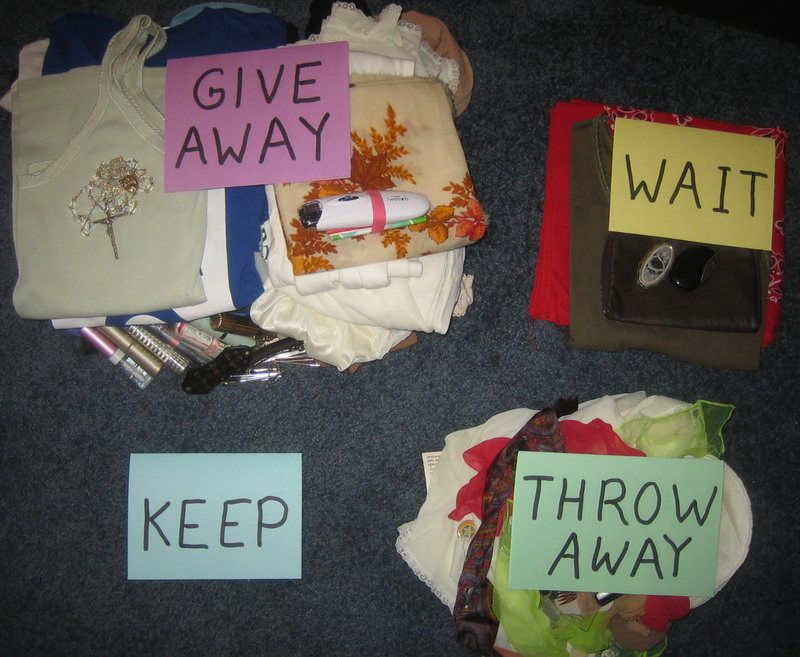 The two skipped drawers contained 16 winter tops and sweaters that I wear regularly. 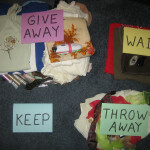 Jim said that probably some of my give-aways should really be throw-aways. This applied to my “good condition” stockings and several slightly used lipsticks. As usual, he’s probably right. My dresser and night stand don’t look any different from the outside but I have a pleasant feeling when I look inside and see space that is no longer crammed. Even though I cleared out a fair amount of stuff, I was surprised that I couldn’t actually consolidate items enough to gain an empty drawer. There are still too many items in the “I don’t use or wear this much, but I might want it someday” category. I still have room to grow – or maybe I mean diminish. Since we’re talking about clothes, perhaps this would be a good time to acquaint you with Project 333. This is the invention of Courtney Carver who challenges us to wear only 33 items of clothing for 3 months (one season). You don’t have to count your wedding ring, underwear, sleep wear, in-home lounge wear, and workout clothing. I haven’t officially tried it yet but am intrigued to see what I’d be left with after my 16 winter tops. 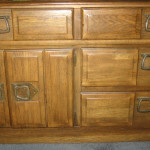 A question to ponder: What would be your hardest or easiest dresser items to part with?